Given the recent news reports about chemical weapons in Syria, terrorist attacks, violence against citizens, and warfare waging in many cities around the world, I was struck by the fact that the Financial Times newspaper devoted coveted space on its first page on September 3rd, 2013 to an article about two mobile phone apps currently being used in Lebanon, entitled: The must-have accessory for war—app that keeps you out of danger. The first App is called Ma2too3a. The FT reporter, Abigail Fielding-Smith wrote: “It takes crowd-sourced information from its users about protests, traffic, roadblocks, and clashes and then feeds it into a map.” The developer, Mohammad Taha, developed the app after his wife and children got caught in gunfire driving home from school in Beirut. They were OK, but quite frightened. This app has more than 80,000 downloads. As I read about these two different, but related, uses of crowdsourcing for mobile phone apps in Beirut, I was struck by how powerful and useful our mobile phones have become as literal life-saving devices, and how awesome it is that crowdsourced information can be quickly harnessed and mobilized to help people help each other. My other reaction: what is our world coming to that this is the way people have to live! 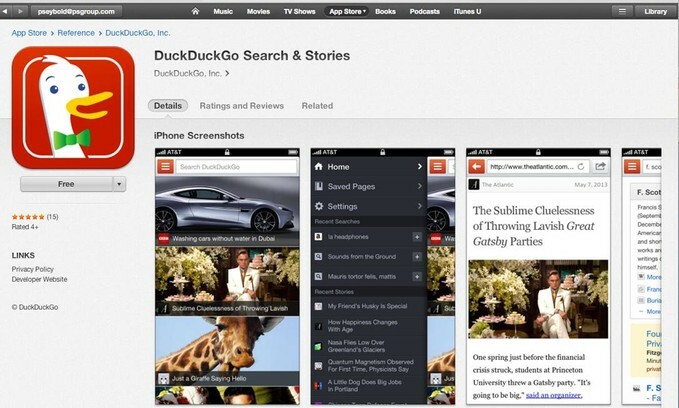 This week, DuckDuckGo launched its iPhone app, DuckDuckGo Search and Stories. Now you can enjoy the same anonymous, non-trackable, non-invasive, clutter-free search experience on your iPhone, Android, or Windows phone that many of us now use as our default Web search engine. 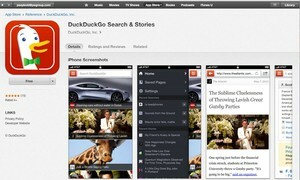 I’m not as impressed with the “stories” part of DuckDuckGo’s offering. (The home page shows you the most popular news stories.) But I love the search. It takes advantage of two capabilities I’ve come to value using DuckDuckGo: instant answers and !bang searches tightly integrated into my favorite sites. Like most of you, I was bummed when I heard the news that Microsoft was buying Skype. I always have a sinking feeling in the pit of my stomach when a beloved tool/brand is swallowed by Microsoft. (Or even a person—remember Ray Ozzie? He was a rock star before he joined MS! I’m glad he’s no longer there.) I wrote off Microsoft as strategically relevant years ago. Loyal readers will notice that we rarely analyze Microsoft’s moves. Most of our clients just aren’t that interested either. In the enterprise, MS software is a necessary evil. The MS Office franchise/lock-in has been remarkably successful for almost two decades. Enterprise IT execs have to take Microsoft’s enterprise strategy into account—as they do the strategies of Oracle and SAP—and of HP and IBM. But there’s no innovation involved. Just evolution. Most of MS’s interesting innovations, IMHO, have been in the consumer gaming area—Xbox and Kinect—for example. In fact, it’s in the consumer world where Microsoft’s brand is actually popular, rather than tolerated. Finally, there’s Microsoft’s more current public strategic struggle to become a major player in the mobile/wireless field. Now that the majority of information consumption and interaction are taking place on mobile devices, Microsoft can’t afford NOT to be a major platform player in the mobile/wireless world. Microsoft has invested years in mobile OS skirmishes and attempts to woo handset suppliers and telcos alike to a MS-centric mobile ecosystem. Now the company is taking a more heavy-handed and direct approach: buying its way in. First, by mounting a coup at Nokia. Second, by injecting money and support into RIM in exchange for the Bing search franchise. And, now, the real land grab: buying Skype. Notice that Microsoft’s current strategy doesn’t presume that Microsoft owns the mobile OS. It’s playing higher up the stack in the Internet services space (search and real-time interaction).